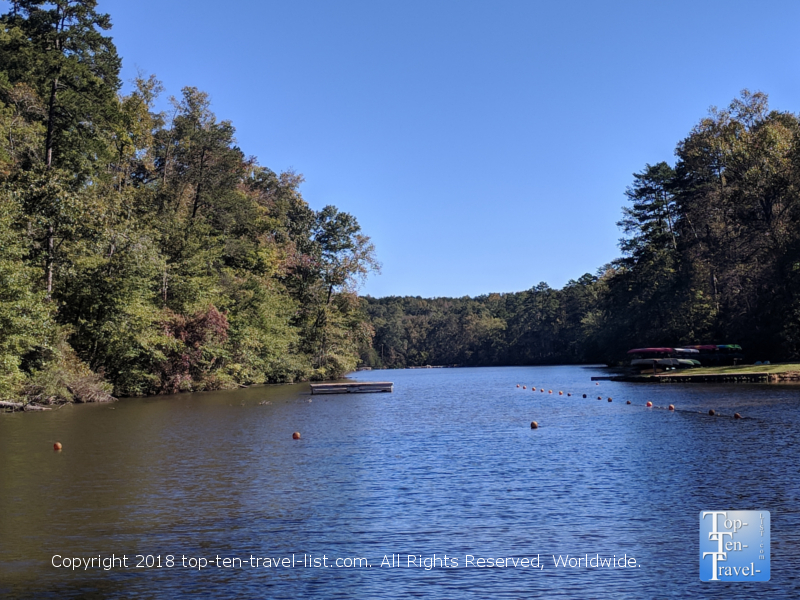 10 Things to do this Autumn in Upstate South Carolina - Top Ten Travel Blog | Our experiences traveling throughout the US. Colorful leaves, cozy sweaters, football, brisk weather, pumpkin everything….there really is no better season than the fall. While South Carolina does not typically come to mind first when planning a fantastic fall destination, the Upstate, a name given to the 10 counties which make up the Northwestern portion of the state, is actually a well-regarded leaf peeping destination. The proximity to the beautiful Blue Ridge mountains & mild climate leads to unending opportunities for recreation. Fall is one of the best times of the year to plan your trip to the Upstate South Carolina region. The air is drier, the temps much cooler, and the tourist crowds have begun to die down. And, most importantly, lovely fall foliage can be seen throughout the region. While the rest of the state is still quite warm this time of year, the Upstate region -thanks to its’ higher elevation – sees a dramatic drop in temps. In fact, this portion of South Carolina actually sees a mild 4 season climate, with the fall season being one of the longest in the country! 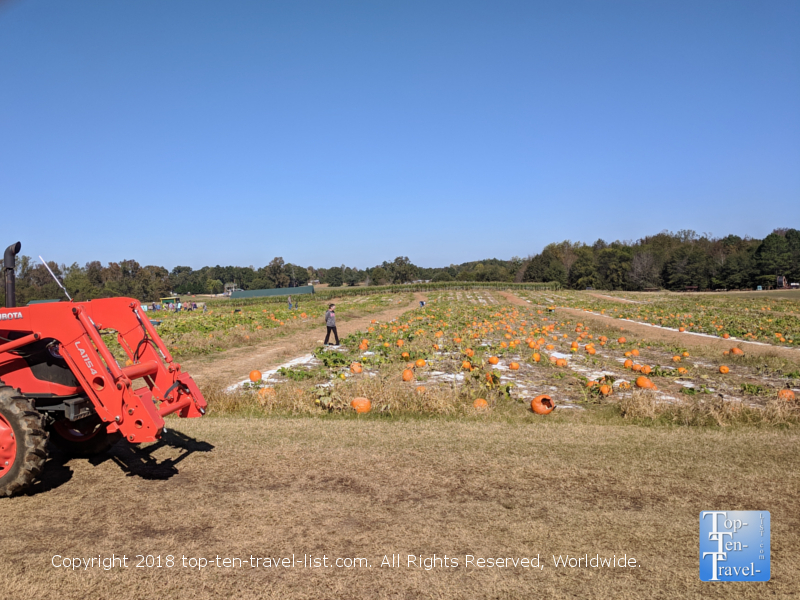 From pumpkin patches, to fall foliage hikes and scenic drives, to seasonal festivals and fairs, the area is alive with that special fall feeling which most of us love. For every fall lover out there, there is a fun way to take in the beauty of the Upstate’s lingering autumn season. Greenville, the hub of the Upstate, is not only a great starting point for many great day trips, but also home to numerous amenities of its’ own. 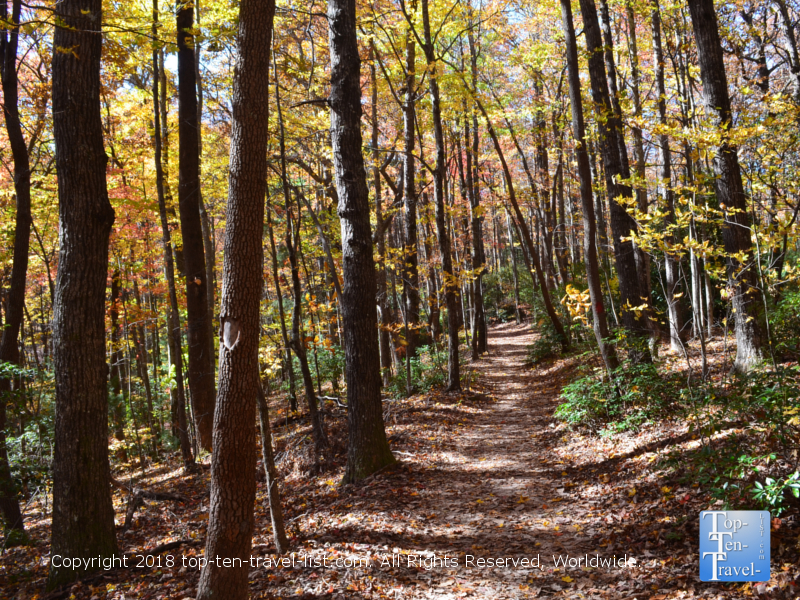 Check out my top 10 ways to experience fall in the Upstate! Upstate South Carolina is an oasis for nature lovers, hikers, and mountain bikers. 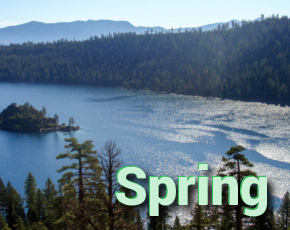 There are dozens of state parks and recreational areas to choose amongst, the majority of which are alive with the colors of the season sometime around the 3rd-4th week of October, and often lingering throughout November. Whether you are a beginning or avid hiker, there is something for fitness lovers of all abilities. Some trails feature spectacular mountain vistas, some terrific leaf peeping, others prime views of a spectacular waterfall…while a few of the best offer a bit of everything. 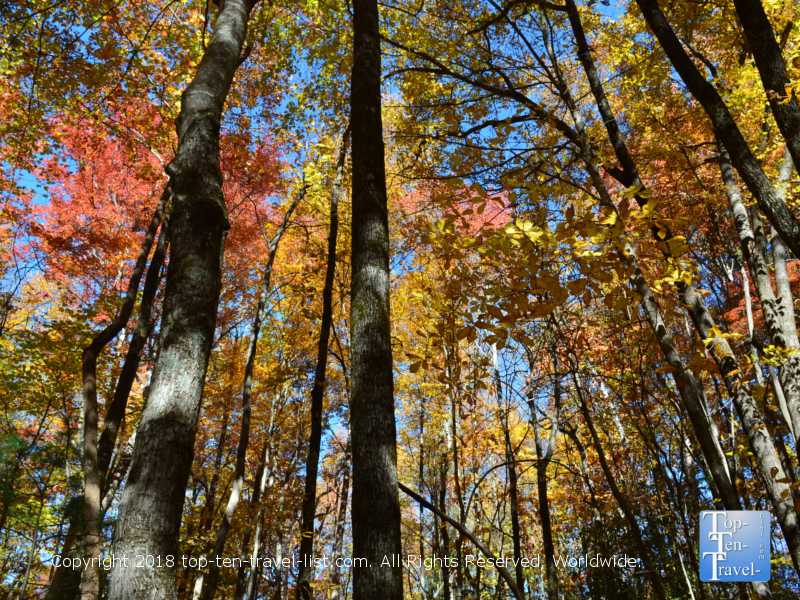 A few great fall color hotspots to add to your fall bucket list include Paris Mountain State Park near Greenville, Table Rock State Park in Traveler’s Rest, and Caesar’s Head State Park in Cleveland. All 3 of these parks offer trail options ranging from easy nature strolls to all day intense adventures. Caesar’s is home to one of the state’s best waterfalls, while Paris Mountain is a great place to enjoy serene views of the lake, and Table Rock is a great place to enjoy a relaxed creekside stroll. The Upstate region has no shortage of family-owned local farms, many of which put on festive fall celebrations each year. Unfortunately, the majority of these charge exorbitant entry fees and are hardly worthy of the fee based on the lackluster attractions & hefty crowds. One exception is Stewart Farms in Enoree where you pay per activity as opposed to paying extra fees for activities which you are not interested in. They have a great little themed wagon ride out to a patch where you can cut your own pumpkin. There’s also a great little corn maze, which is perfect during the day for families and scary enough at night for those seeking a Halloween fright. Also on-site is a small store selling local jams, honey, and other regional products. Not really much in the way of festive decor (especially if you are used to the great pumpkin patches in the Midwest), however, nothing says fall like a fresh day out at the farm. So, escape the clutter of the city for a few hours and enjoy some good old-fashioned fun on the farm. 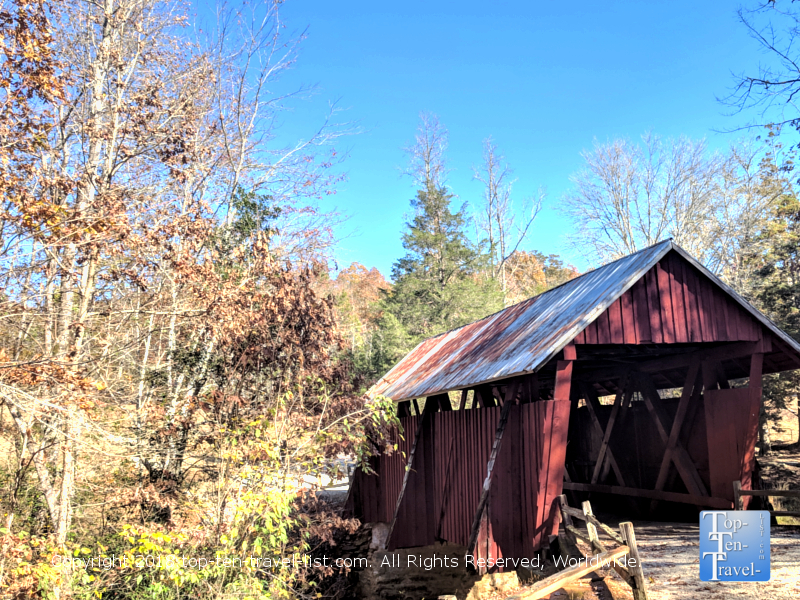 Just outside of the small town of Landrum in the Northeastern portion of Greenville county stands the last remaining covered bridge in the state. Campbell’s Covered Bridge was constructed in 1909 and is 38 foot long and 12 foot wide. Although you can plan your visit at any time of the year, the atmosphere during the fall season with the colorful backdrop is simply unmatched. As most covered bridges have not stood the test of time, a trip to Campbell’s is a must for the nostalgia factor alone. The drive over from Greenville is quite beautiful too, consisting of quiet woodsy countryside, with plenty of leaf peeping opportunities throughout October and November. Along the way be on the lookout for boiled peanut stands – these tasty Southern style treats are worthy of the detour! The Upstate region is home to dozens of dazzling waterfalls. Some of these are easy accessible via a short hike, while others require an intense back country journey. A great intermediate option is the 2 mile out-and-back trek to Raven Cliff falls in Caesar’s Head State Park. This hike is fairly challenging and steep at times, although nothing too overwhelming, and thus, you will see plenty of families and casual hikers out enjoying the beautiful surroundings. 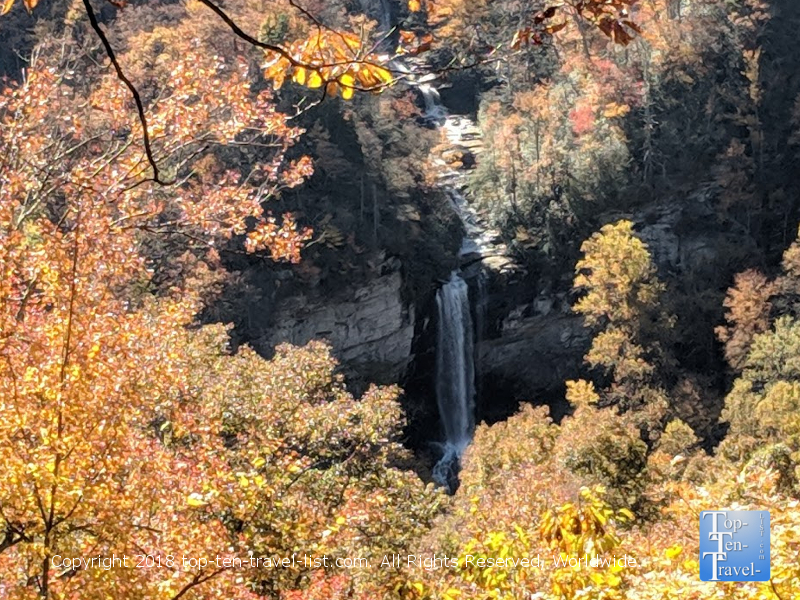 After taking a stroll through the woodsy forest, which is ablaze with gold, red, and orange hues in the peak of fall, you will arrive at an observing deck which looks out onto the amazing 400+ foot tall Raven Cliff falls. For a more direct view, you can choose to hike the strenuous 8 mile loop trail. This intense hike requires a lot of time and endurance and advance planning with proper hydration and snacks. For many, the fall season does not technically start until Starbucks rolls out its’ classic Pumpkin Spice Latte, better known as the PSL. As a fan of strong black coffee only, I occasionally make an exception for this seasonal drink as sipping this perfectly spiced pumpkin concoction really makes it feel like fall is in the air. After a long hot summer season, I long for cool temps and pumpkin everything and a pumpkin spice latte really makes everything feel a bit more festive. While Starbucks seasonal drinks are great, it’s always nice to support local businesses. Fortunately, Greenville has a number of independent coffee shops, many of which offer their own version of the Pumpkin Spice latte. Both the Swamp Rabbit Cafe and The Village Grind use real pumpkin in their drinks. No matter which local business you choose, you are guaranteed a steaming mug of fall’s best indulgence. Skip the overpriced haunted houses in exchange for a look at a real piece of South Carolina’s haunted history. The historic Poinsett Bridge, built in 1820, is the oldest bridge in South Carolina. 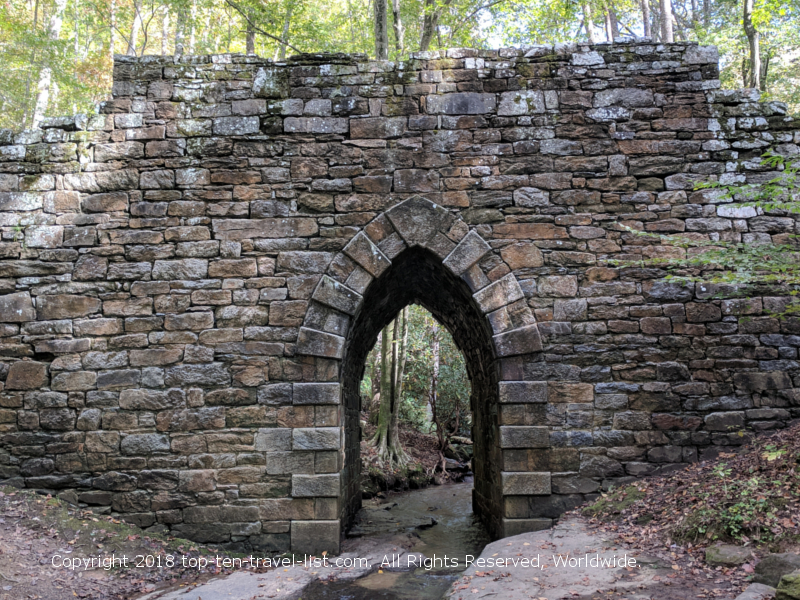 This beautiful stone bridge features a 14 foot Gothic archway and almost looks like a portal to another world. Poinsett is reportedly a hotspot of paranormal activity. Numerous visitors have reported eerie ghostly events including hearing screaming sounds at night! Ghost hunting groups flock to the area, and it has even been featured in the book Ghosts of Upstate South Carolina. Regardless of the haunted nature, the bridge itself is exotic and fascinating and a great place to take a few photos and enjoy nature. The drive over from Greenville is quite beautiful in the fall, with colorful hues lining the forest on both sides of the road. To avoid any spooky encounters, limit your adventure to a daytime visit! 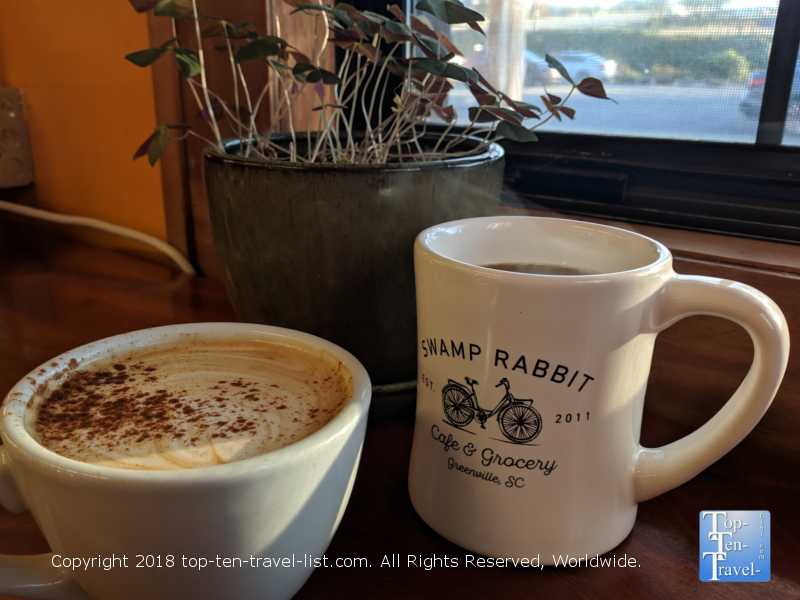 The Swamp Rabbit trail is a 22 mile long trail which runs through a large portion of Greenville and Traveler’s Rest, a tiny town just north of the city. This multi-use trail is popular with joggers, cyclists, and dog walkers. Early fall is a perfect time to plan your ride as the colors are beautiful and the afternoon temps (50’s-60’s) usually perfect for a refreshing ride. Whether you simply choose to go out a few miles for a rejuvenating workout or challenge yourself to the entire trek, the SRT is your best bet for urban recreation in the Upstate. Be aware that several sections of the trail are currently under construction. The section beginning in Traveler’s Rest near the Whistle Stop Cafe and a short section through Lake Conestee Nature Park are the best starting points at this time. If you need a bite to eat there are plenty of options along the way. Check out the SRT map. 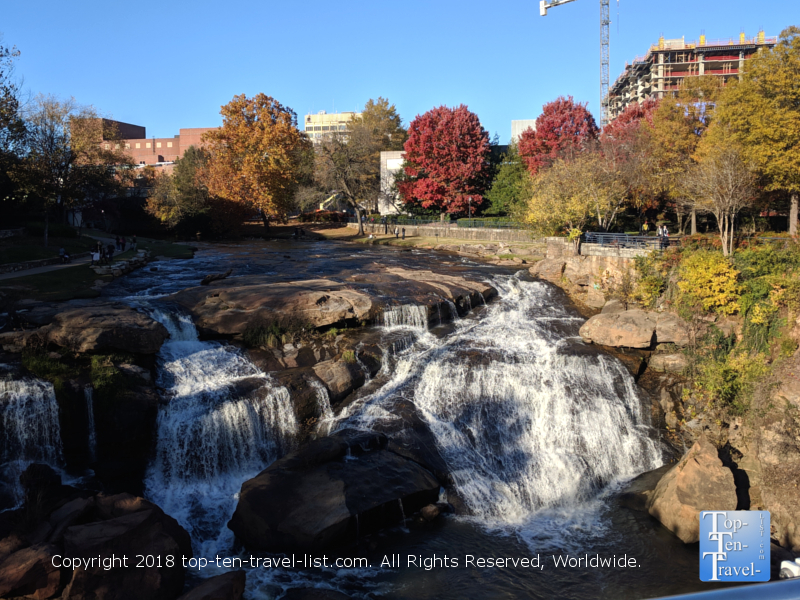 Fall is one of the better months for taking advantage of all the beautiful restaurants patios in Downtown Greenville, the biggest city in the Upstate and an emerging foodie destination. The streets of downtown are lined with tons of sidewalk cafes and leafy deciduous trees. There are more than 100 independent local restaurants to choose amongst, whether you are in the mood for Italian, Japanese, Mexican, Indian, or Southern style BBQ. 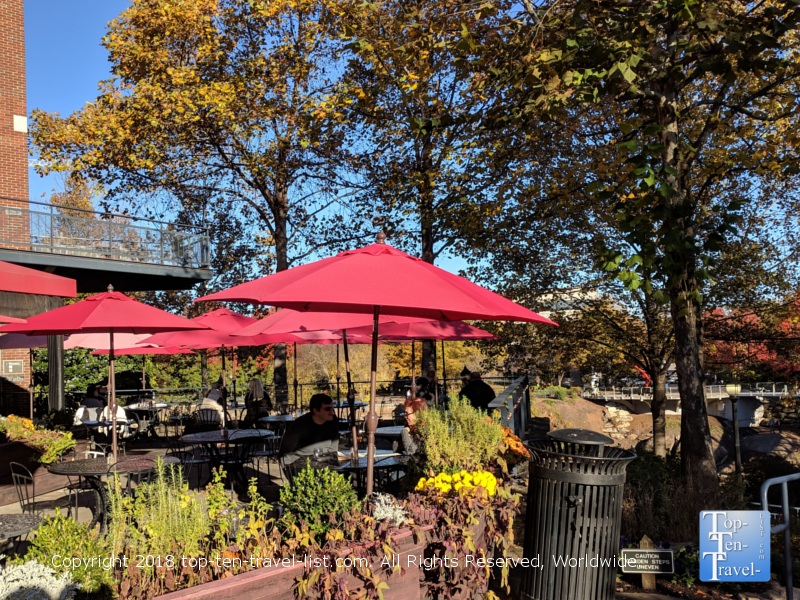 A few of the best outdoor patios can be found at: Paserelle Bistro (great French food with beautiful views of the falls), Port City Java (great coffee and baked goods and a beautiful tree covered courtyard), and Roost (excellent lunch buffet). Fall is the best time to attend any of the Upstate’s ongoing lineup of events. 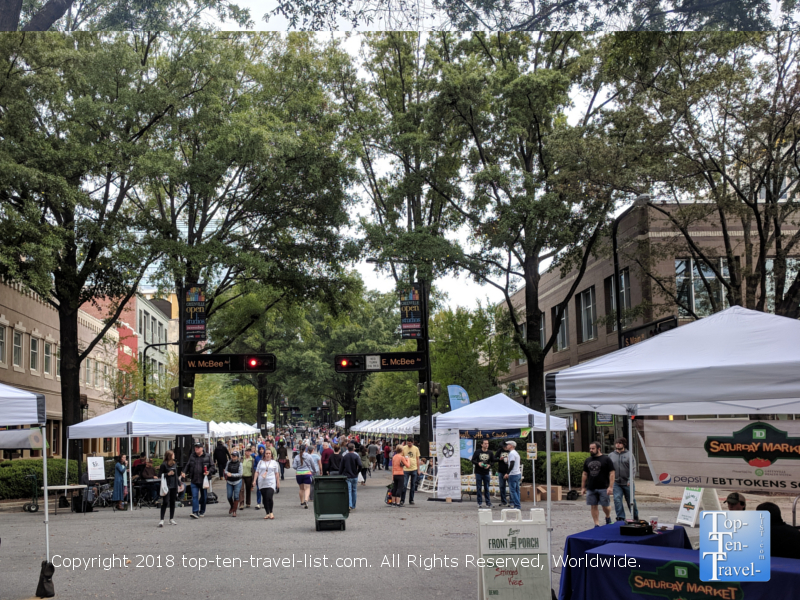 Fall for Greenville, the area’s premier event, draws huge crowds as tourists sample cuisine from Greenville’s diverse lineup of local restaurants. Another great event is the TD Saturday’s Market, where you can shop for local produce from nearby farms, raw milk products, artisan bread, and other specialty goods. Other notable fall events include Octoberfest, Artoberfest, and the Blues & Jazz festival. Falls Park is one of the Upstate’s most beloved attractions. Visitors from all over come to stroll across historic Liberty Bridge to view the beautiful Reedy River Falls. This 355 foot suspension bridge is the best place for a prime view of the waterfall. 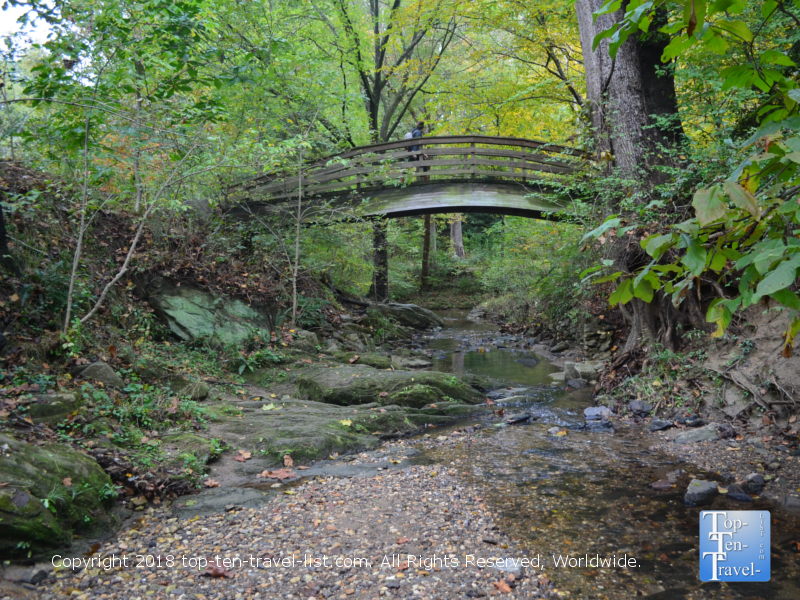 Falls Park on the Reedy River is a great place to take a nature stroll, photograph the waterfall, have a picnic, and enjoy the fall foliage. It’s a peaceful place to escape the city congestion for a bit. Located in the heart of downtown Greenville, Reedy River falls is within walking distance of Main street. I recommend stopping for a local breakfast at Tupelo Honey (excellent southern style food & amazing biscuits!) or Sully’s Steamers (amazing creative bagels!) 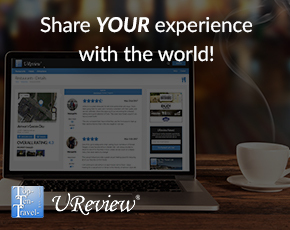 before your visit. *Halloween events! Unfortunately, the Upstate does not offer a whole lot in the way of Halloween fun (too bad, I love festive Halloween events!). However, the few area events are quite well received. 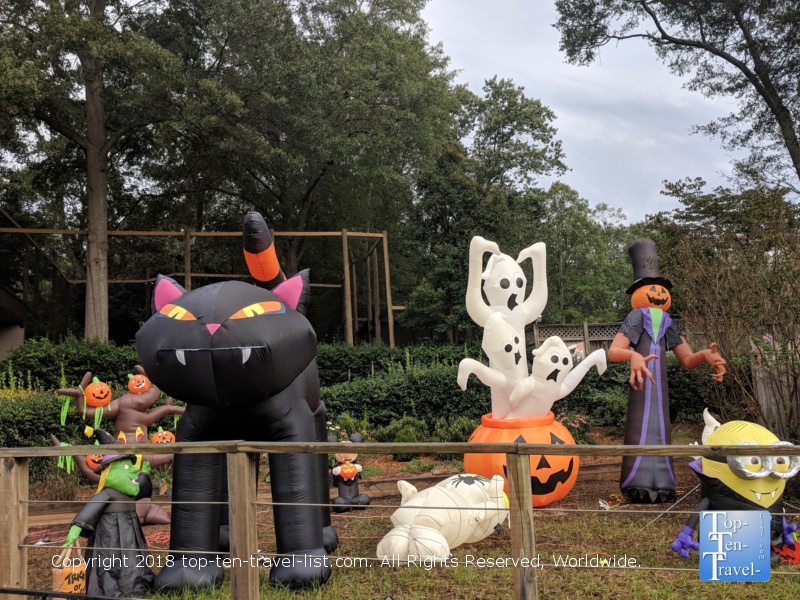 Boo at the Zoo is popular with families, although they do not offer much in the way of lights like most other zoos. Nightmare Dungeon is the scariest haunted house in the area. *Go apple picking. There are numerous u-pick orchards within a short drive of Greenville. Check out Bryson’s in Mountain Rest. *Attend a home Clemson game. Fall is the perfect time for college football. Check out the 2018 Clemson home schedule. *Take a stroll around a lake. There are numerous small lakes within close proximity to the city. At Paris Mountain State Park, you can hike various trails, picnic, and rent a kayak along serene Lake Placid. *Get your pumpkin fix in Greenville. Various local restaurants offer specialty pumpkin dishes this time of year. Stax Omega (by far the best breakfast place in town!) offers a Pumpkin Belgian Waffle. Other specials around town include the Pumpkin Spice Lattes mentioned above, Pumpkin poundcake at Strossner’s, Pumpkin Pie gelato at Luna Rosa, and Maple Walnut Pumpkin Bread French Toast at Mary’s at the Falls. *Pumpkin Beer Madness at Iron Hill Brewery. Near the end of October each year, this popular brewery taps 6 seasonal beers. If you love pumpkin flavored brews, you will not want to miss out on this one! Additionally, check local breweries for seasonal specials! *Take a scenic drive. Hwy 11, 25, and especially, Hwy 276 near Caesars Head are all gorgeous in the fall. *Plan a daytrip to the Asheville area. Asheville , a charming mountain town in North Carolina, is known for its’ foodie scene, eclectic and funky offerings, and the historic Bitmore Estate. 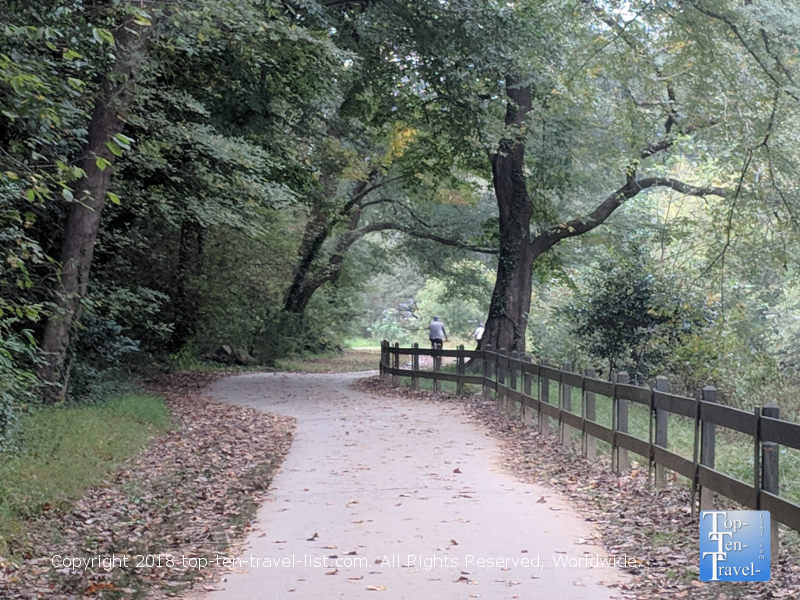 There’s lots to do both in and around the city including the beautiful Botanical Gardens at UNC, trolley and food tours downtown, and tons of fall events. And of course, it’s a great starting point for exploring endless hikes and waterfalls. *Drive up to NC to see the waterfalls. While South Carolina offers no shortage of spectacular waterfalls, those in NC are even more spectacular. 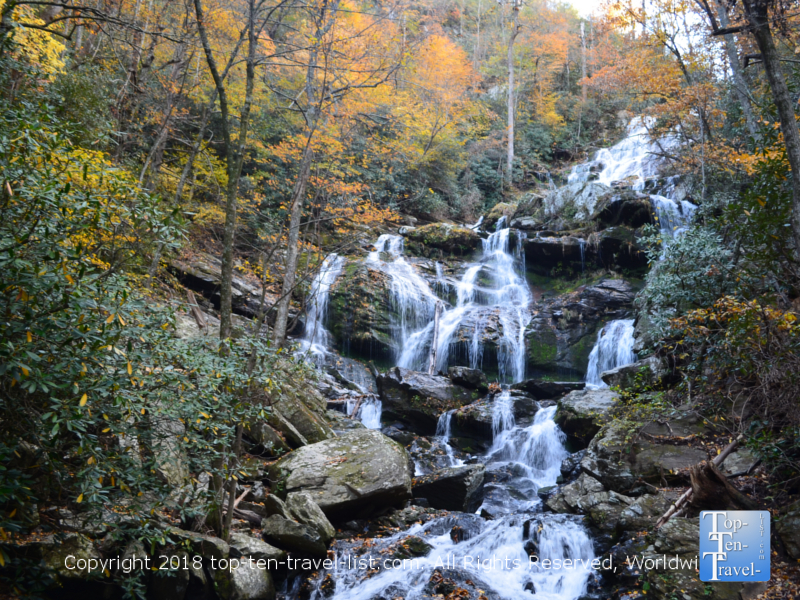 The hikes to get to these waterfalls are easier & less congested than those found in SC. There are numerous NC waterfall hotspots within an hour or so drive. 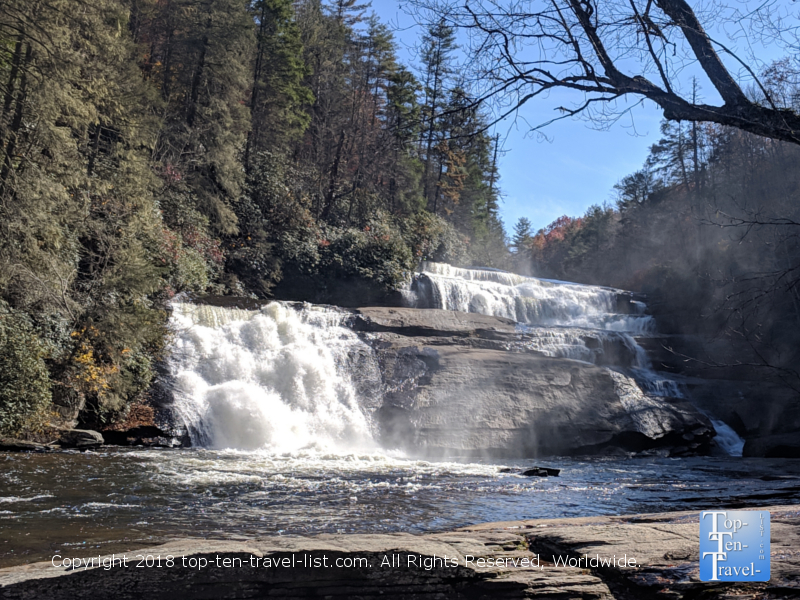 Check out the Triple Falls trailhead at Dupont State Forest (3 waterfalls within a 1 mile hike and also a Hunger Games filming location!) and Looking Glass Falls near Brevard (a wonderful roadside beauty).